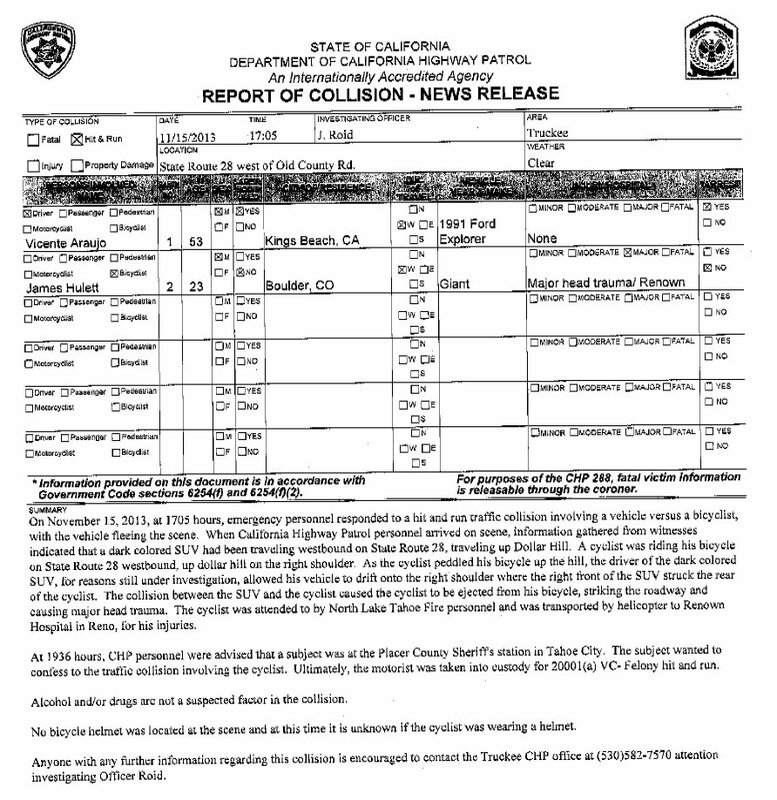 Tahoe City, CA…On November 15, at 5:05pm emergency personnel responded to a hit and run traffic collision involving a vehicle vs bicyclist. When the California Highway Patrol personnel arrived on scene, information gathered from witnesses indicated that a dark colored SUV had been traveling westbound on SR-28 westbound up Dollar Hill on the right shoulder. As the cyclist peddled his bicycle up the hill, the driver of the SUV, for reasons still under investigation, allowed his vehicle to drift onto the right shoulder where the right front of the SUV struck the rear of the cyclist. The collision between the SUV and the cyclist caused the cyclist to be ejected from his bicycle, striking the roadway and causing major head trauma. The cyclist was by North Lake Tahoe Fire personnel and was transported by helicopter to Renown Hospital in Reno for his injuries. At 7:36pm CHP personnel were advised that a subject was at the Placer County Sheriff’s Substation in Tahoe City. The subject wanted to confess to the traffic collision involving the cyclist. Ultimately, the motorist was taken into custody for a 20001(a) VC-Felony hit and run. Alcohol and/or drugs are not a suspected factor in the collision. 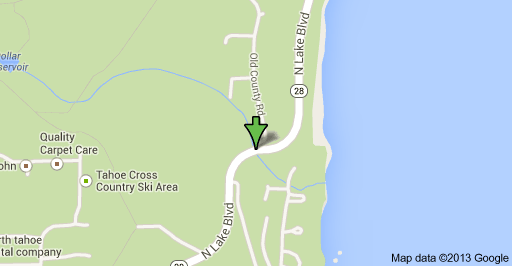 One Response to "Major Injury Vehicle vs Bicyclist Hit and Run in Tahoe City Area"